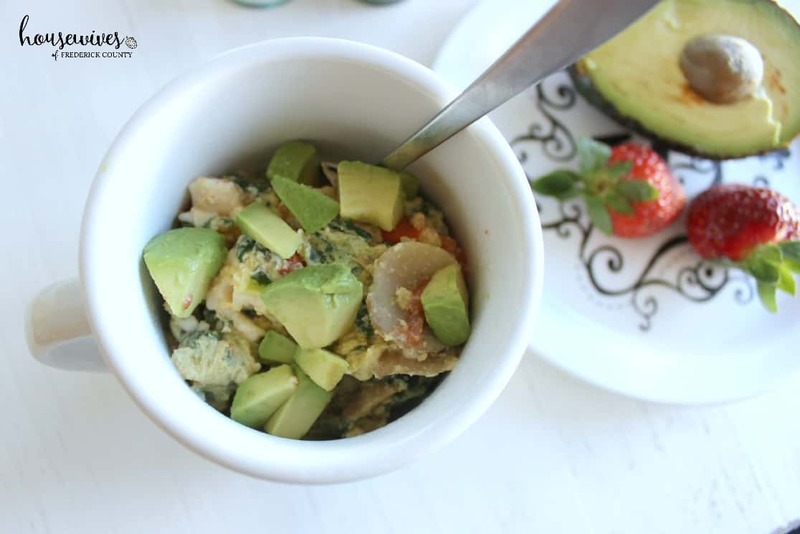 Finding an easy, healthy, quick breakfast to make in the mornings is such a challenge for me. I like to be able to just grab something and go. I’m one of those people who doesn’t really start getting hungry until late morning. BUT if I haven’t had a balanced breakfast by that time, you better strap everything down because I’m going for it! That’s where the danger lies. By that point of hunger, I will grab whatever is easiest. And, more times than not, it’s something unhealthy. This post contains an affiliate link, which means that if you click on the product link and make a purchase, I’ll receive a very small percentage. 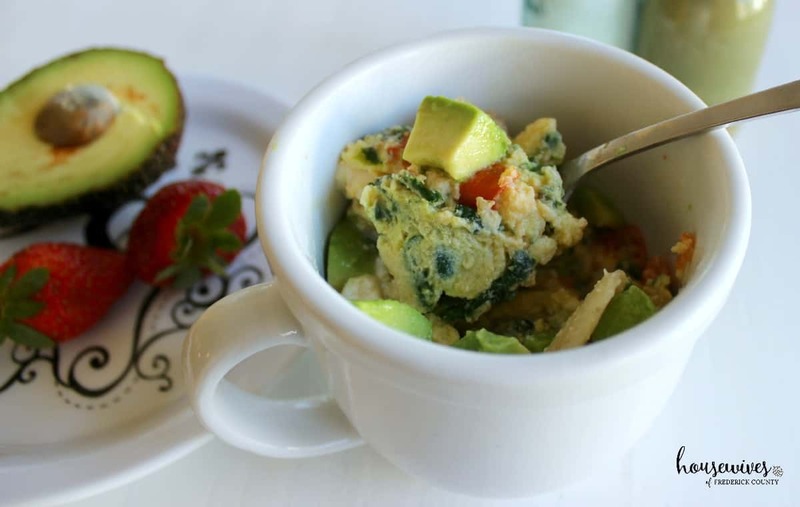 That’s why I was so glad to find a whole slew of healthy breakfast recipes in Lisa Lillien’s book “Hungry Girl to the Max! The Ultimate Guilt-Free Cookbook”. 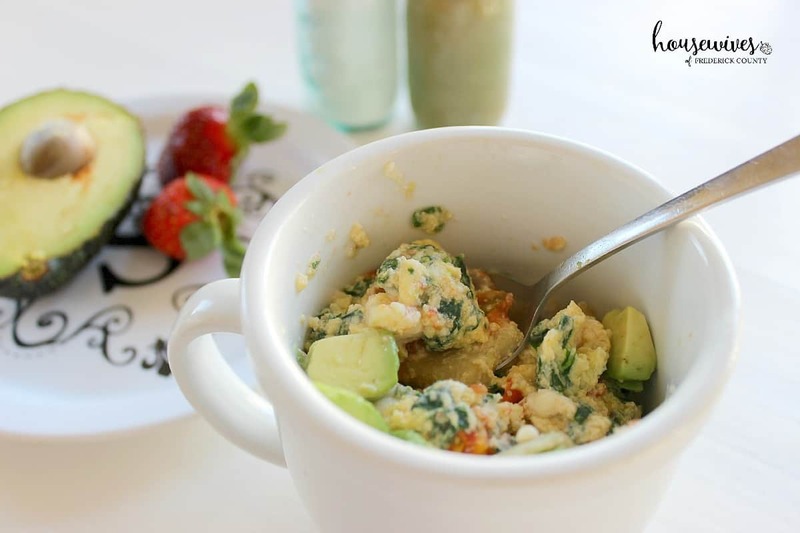 This California Love Mug recipe caught my attention in particular because I LOVE eggs and I LOVE avocadoes! Plus you don’t even have to get a pan out to make it! 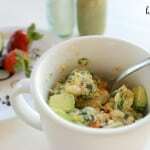 There are only 6 ingredients to this recipe and every ingredient is healthy. Plus it’s only 3 Smart Points and 3 Points Plus points per serving! Heaven to my ears AND my tastebuds! Add egg substitute, stir, and microwave for 1 minute. Mix in tomato and cheese wedge, breaking the wedge into pieces. Microwave for 1 minute or until set. If you’ve never tried the Light Laughing Cow cheeses, you need to. I’ve only had them with crackers. Never thought of incorporating them into recipes like this one. 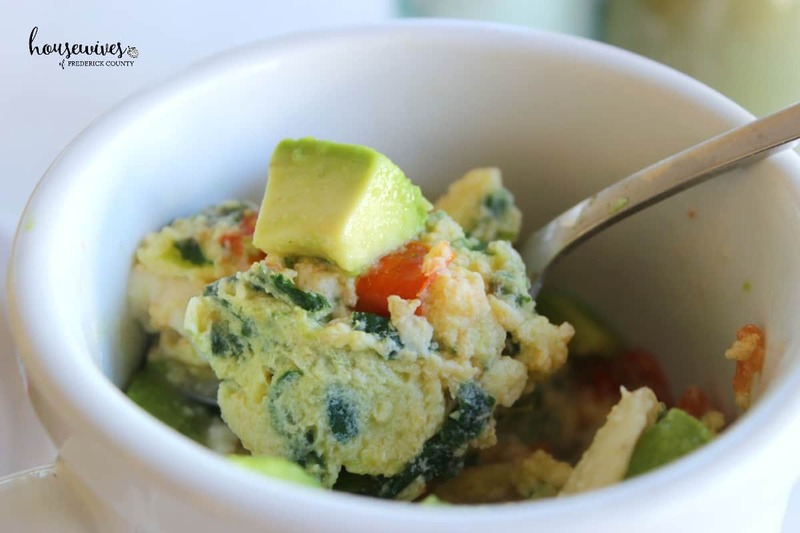 This breakfast omelet in a mug turned out great! It was really tasty and very satisfying. After eating it, I wasn’t hungry again until that afternoon. Next time I’ll probably add some minced onions and maybe some of those already-made bacon crumbles that you can get in the condiment section of the grocery store. Another great idea would be to cut up a week’s worth of the veggies to keep in the fridge. Just throw them in as you need them whenever making a breakfast omelet in a mug. 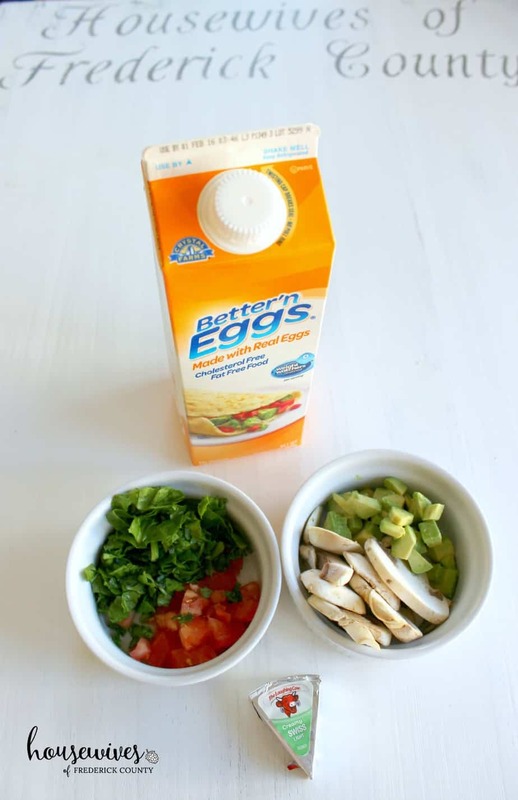 AND if you’re not really into the egg substitutes, you can use whole eggs in this recipe. But if you’re counting Weight Watchers points, you’ll need to adjust for that. Do you have any mug recipes you’d like to share? Ok, I’m gonna try this. It looks really good. I’ll use the real eggs though because I’m a real man. It’s really good! Yeah, I think you’ll prefer whole eggs Kenneth.